This Quick Mount Clip-Out Wall Bracket is the perfect place to keep your XC100-P (100X010) or XC-PARALLEL (100X013) at your shop or home. The open design allows you to quickly unclip the charger and take it with you. 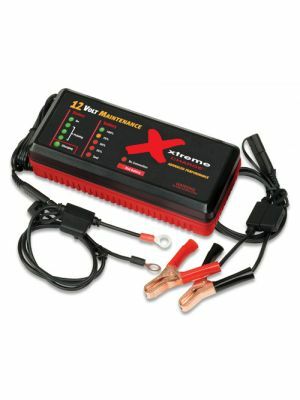 Neither Xtreme Charge models are included with this bracket and must be purchased separately. 90-Day Limited Warranty. Securely mount your XC100-P (100X010) or XC-PARALLEL (100X013) to the wall with this open design Quick Mount bracket. Then simply unclip the charger from the bracket to move it to where it’s needed in your garage or shop. When it’s stored in the bracket you’ll always know where it is and avoid damage from bumping or dropping the charger. The bracket is black powder coated 16-gauge steel for heavy-duty mounting requirements. Mounting screws and Xtreme Charge chargers are not included. 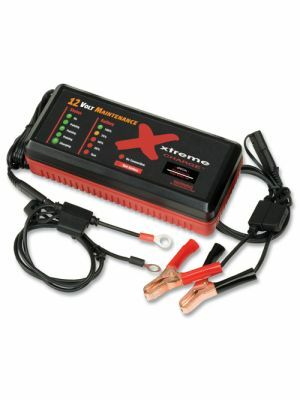 Not for use with the X2 Dual Station Charger (100X200) or HD Xtreme Recovery Charger (100X500). Securely mount your Xtreme Charge Pulse Maintenance Battery Charger to the wall with this open design Quick Mount bracket. Then simply unclip the charger from the bracket to move it to where it’s needed in your garage or shop. When it’s stored in the bracket you’ll always know where it is and avoid damage from bumping or dropping the charger. The bracket is black powder coated 16-gauge steel for heavy-duty mounting requirements.